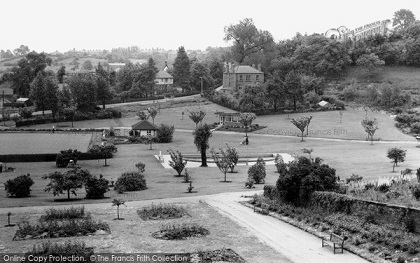 Friarwood Valley Gardens were laid out as a public park in the mid-20th century in the town centre of Pontefract, on a site originally associated with the town's medieval monastery. There was a friary on the site of the present gardens until the dissolution of the monasteries in the mid-16th century. After this the site was used as a cemetery until orchards were planted in the 18th century. The area was laid out as private gardens towards the end of the 19th century. 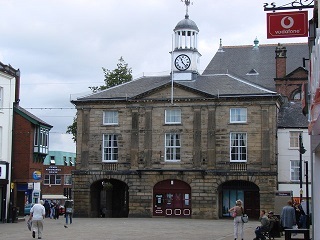 The area was developed as a public space in 1950. This invisible entity walks the park, poking young women and girls who are alerted to his presence by his loud breathing and rasping. 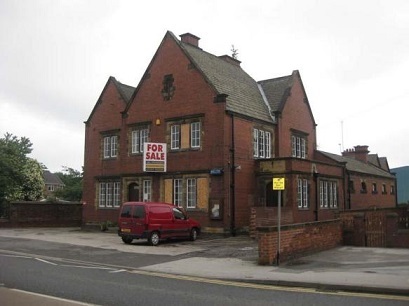 Back in 1974 in Knottingley Police station, two Police Officers were on duty one night. One of them returned back from walking the beat, it was normal for the first back was to make the tea. However, on this night my one of the officers came back in, and he could hear noises from upstairs and the distinct sound of an old typewriter being used, (before the days of computers) the officer being a bit 'peeved' thought his mate had forgot to make a brew, so he went up to see him, but when he opened the door the room was empty. On later enquiry with the old timers there, apparently it was a regular occurrence, a police constable (or detective) named George had killed himself, and had returned to the station he had once worked at. The De Lacys built it in the early part of the 13th century. Its area was seven acres. The wall of the castle court was high and flanked by seven towers; a deep moat was cut on the western side, where was the turret and drawbridge. It had dreadful dungeons, one a room twenty-five feet square, without any entrance apart from a trap-door in the floor of a turret. 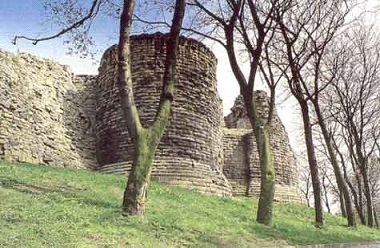 The castle passed, in 1310, by marriage to Thomas Earl of Lancaster, who took part in the strife between Edward II and his nobles, was captured, and in his own hall condemned to death. The castle is always associated with the murder of Richard II, but contemporary historians, Thomas of Walsingham and Gower the poet, assert that he starved himself to death; others contend that his starvation was not voluntary; while there are not wanting those who say that he escaped to Scotland, lived there many years, and died in peace in the castle of Stirling, an honoured guest of Robert III of Scotland, in 1419. It was besieged three times, taken and retaken, and saw amazing scenes of gallantry and bravery. It held out until after the death of the martyr king; it heard the proclamation of Charles II, but at length was forced to surrender, and "the strongest inland garrison in the kingdom," as Oliver Cromwell termed it, was slighted and made a ruin. The wronged Richard has many acquaintance ghosts - the Earl of Salisbury, Richard Duke of York, Anthony Wydeville, Earl Rivers and Grey his brother, and Sir Thomas Vaughan, whose feet trod the way to the block, which was worn hard by many victims. A figure walks around the ruins of the castle holding a large axe, frightening all who see him. There are also reports of phantom monks in the area, and two ghostly children who play near the dungeon. 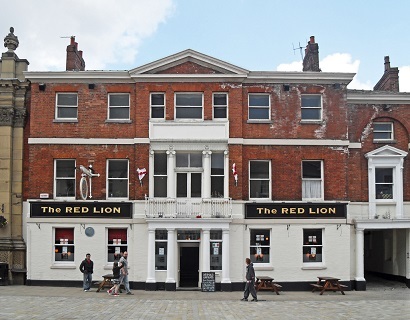 The is one of Haunted Yorkshires favourite places, Phantom figures have been reported standing behind the bar, and one manager watched a ghostly young boy walk past in the same area. Loud footsteps have been heard, while poltergeist-like activities include bangs, crashes and glasses which fly off tables. A phantom woman has been spotted on the staircase and is reputed to be a bride who was killed in the hall may years ago. 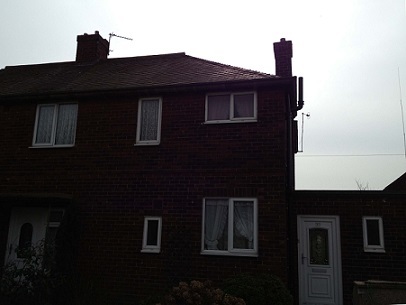 The Pritchard family (Jean, Joe, Phillip son 15 and Diane daughter 12) moved into Number 30 East Drive, Pontefract in August 1966. Then on the first hot summer Bank Holiday, Phillip and his Grandmother first witnessed a baffling phenomenon – a fine layer of chalk like dust falling not from the ceiling, but from a level below head height. In an effort to clean up before Phillip’s parents returned home, Mrs Kelly (Phillip’s Aunty who had been fetched by her mother to observe the falling dust) went to the kitchen for some cleaning implements, whereupon she slipped on a pool of water that had mysteriously appeared. Her efforts to mop up the water were thwarted by more pools appearing on the floor in front of her and Phillip’s eyes. This was the beginning of several years of incredible, unexplainable events; green foam appearing from taps and toilet even after the water was turned off, the tea dispenser being activated resulting in all the dried tea cascading onto the work surface, lights being turned off and on, plants leaping out of their pots and landing on the stairs, cupboards shaking violently, photographs being slashed with a sharp knife and an endless list of floating and thrown objects – including a solid oak cabinet. Dubbed ‘Mr Nobody’ by the local press in 1968, the family preferred to refer to the poltergeist simply as ‘Fred’, perhaps as a way of normalising ‘It’ as no number of initiatives could persuade the entity to leave the family in peace and house-proud mother Jean refused to be terrorised out of her house by an entity. Exorcisms were met with anger; walls would bleed water, faces were slapped, people were shoved down the stairs and ‘Fred’s’ hands would appear from nowhere and conduct the Christian songs aimed at shooing him off – whilst wearing huge women’s fur gloves. In fact, many of Fred’s antics were both amazing and often highly amusing, like when he calmly poured an entire jug of milk he removed from the fridge over a sceptical aunt, leaving the kids in stitches. To this day, the house remains empty and scores of paranormal groups, mediums and sceptics visit the property to try and explain what was happening all those years ago.